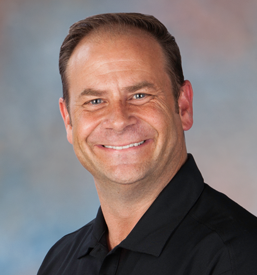 Chris has dedicated his life to studying, practicing and teaching sales success. After an extraordinary career as the top sales professional in his field, Chris experienced what he called, “The Perfect Storm.” In a 30-day period, he lost his fortune in the stock market, was fired from his job, and if that wasn’t enough, his mother was diagnosed with cancer. His initial reactions were shock, and a sense of total defeat. Through this difficult time he found himself asking three important questions. What caused these personal challenges? What can I do to shift my results in a successful direction? 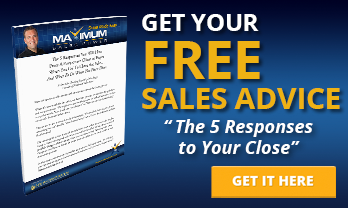 How can I transform these circumstances into my greatest success yet? Chris made a decision to seek guidance, mentorship and support. With expert help, he put into practice proven principles that govern success. This allowed him to overcome every roadblock he encountered and generate incredible personal, and professional, results. He earned multiple Sales Person of The Year awards, was promoted to a leadership position, earning Executive Leader of The Year, and successfully co-founded Maximum Sales Power. He quickly and easily replaced the fortune he’d lost. Chris discovered a vocation he truly loved and was able to help support and celebrate his mom’s remission from cancer. He had found success, but even better, he had created a life of “Full Spectrum Wealth.” Through this experience, Chris vowed to share what he’d learned to help others obtain sustainable, high-level success and to know for themselves that they could live their greatest life possible. 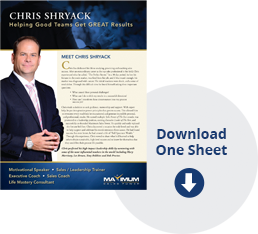 Chris perfected his high-impact leadership skills by mentoring with some of the most influential teachers in the world including Mary Morrissey, Les Brown, Tony Robbins and Bob Proctor.